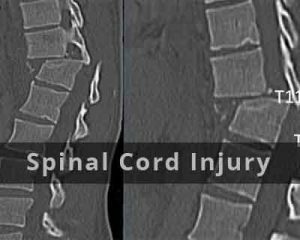 A research participant at the University of Louisville with a complete spinal cord injury, who had lost motor function below the level of the injury, has regained the ability to move his legs voluntarily and stand six years after his injury. A study published today in Scientific Reports describes the recovery of motor function in a research participant who previously had received long-term activity-based training along with spinal cord epidural stimulation (scES). In the article, senior author Susan Harkema, Ph.D., professor and associate director of the Kentucky Spinal Cord Injury Research Center (KSCIRC) at the University of Louisville, and her colleagues report that over the course of 34.5 months following the original training, the participant recovered substantial voluntary lower-limb motor control and the ability to stand independently without the use of scES. The authors suggest that several mechanisms may be responsible for Meas’s recovery of mobility, including the sprouting of axons from above the point of injury into areas below the lesion. Another possible explanation may be that the activity-based training with scES promoted remodelling of connections among neurons in the spinal cord. In addition, they suggest that the participant’s own effort at voluntary movement may have been a factor in the recovery. During the revised training, Meas was attentive and focused on the trained motor task, actively attempting to contribute to the motor output. “The voluntary component of him trying constantly with spinal stimulation on and while performing motor tasks can lead to unexpected recovery,” Rejc said. Funding for the research in Harkema’s lab is supported by the Christopher & Dana Reeve Foundation, the Leona B. and Harry B. Helmsley Charitable Trust, Medtronic and the National Institutes of Health.